The lecture will be held on Thursday, March 26 at 4:00 p.m. in Room 140 of DeBartolo Hall. The notion that there exists, and has always existed, a “warfare” or “conflict” between science and religion is so deeply ingrained in public thinking that it usually goes unquestioned. The idea was however largely the creation of two late nineteenth-century authors who confected it for personal and political purposes. Even though no serious historians of science acquiesce in it today, the myth remains powerful, and endlessly repeated, in wider circles. This talk will explore the myth’s origins, its empty foundations, how it became “common knowledge,” and why it continues to be perpetuated, and also show how religious motivations, individuals, and institutions have historically been the primary drivers of scientific exploration and discovery. In addition to his public lecture, Professor Principe will offer a student seminar on the Scientific Revolution and a faculty book seminar focused on his work, The Secrets of Alchemy. Questions regarding Professor Principe’s lecture and seminars may be directed to Don Stelluto, Associate Director of the NDIAS (dstellut@nd.edu). Lawrence Principe is Professor of Chemistry, Drew Professor of the Humanities, and Director of the Singleton Center for the Study of Premodern Europe at Johns Hopkins University. His research focuses on early modern (1500-1750) science and technology and the history of chemistry/alchemy. His work includes resituating alchemy in its due context—intellectual, social, philosophical, technological, religious, and experimental—and displaying its importance and influence in the history of science and in European culture. 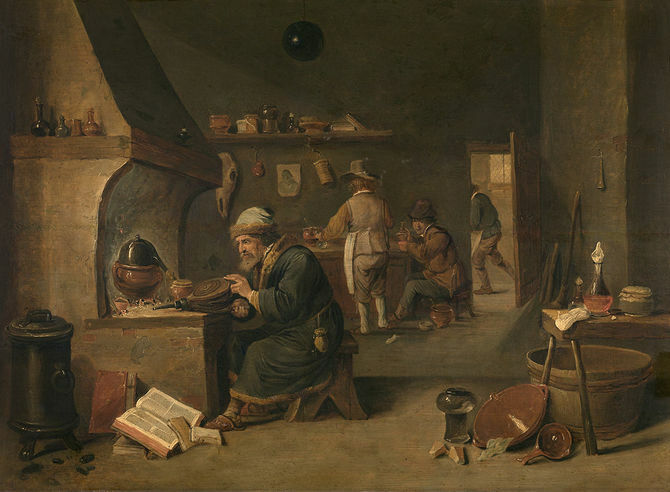 Due to his great interest in understanding how alchemists thought about the world and their work and what they did, Professor Principe has adopted a research strategy that includes traditional historical methods of textual analysis, contextualization, and archival research as well as a more innovative method of replicating alchemical processes in a modern laboratory using historical apparatus and materials that try to approximate the impure substances ordinarily used in the past. He holds Ph.D. degrees in organic chemistry as well as in the history of science. He is the author of The Secrets of Alchemy (University of Chicago Press, 2013), and The Scientific Revolution: A Very Short Introduction (Oxford University Press, 2011), which is available in Chinese, English, Japanese, Spanish, Swedish, Arabic, and soon in Korean; co-author of three additional books, including The Alchemical Laboratory Notebooks and Correspondence of George Starkey (Chicago: University of Chicago Press, 2004); editor of four more books, including Chymists and Chymistry: Studies in the History of Alchemy and Early Modern Chemistry, (2007); and author of more than forty articles. His numerous awards and honors include an Othmer Fellowship from the Chemical Heritage Foundation (2001), and the Pfizer Prize from the History of Science Society (2005). In 2004, he was the first recipient of the Francis Bacon Award for the History and Philosophy of Science. Originally published by Grant Osborn ’06, ’09M.F.A. at ndias.nd.edu on March 19, 2015.